Pumping carbon dioxide into the air makes the planet greener; the United Nations puts out fake science about climate change to control the global energy market; and wind and solar energy are simply "dumb." These are among the messages that flowed from the America First Energy Conference in New Orleans this week, hosted by some of the country's most vocal climate change doubters and attended by a handful of Trump administration officials. 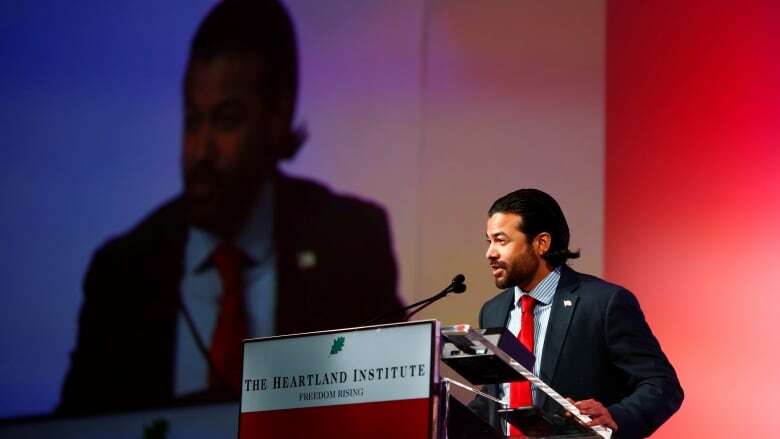 The second annual conference, organized by the conservative think tank the Heartland Institute, pulled together speakers from JunkScience, the Committee for a Constructive Tomorrow, and the Center For Industrial Progress, along with officials from the U.S. Department of Interior and the White House. Panels at the event included: Carbon Taxes, Cap & Trade and Other Bad Ideas; Fiduciary Malpractice: The Sustainable Investment Movement; and Why CO2 Emissions Are Not Creating A Climate Crisis. The day-long conference reflected the political rise of global warming skeptics in Donald Trump's America that is occurring despite mounting scientific evidence, including from U.S. government agencies, that burning oil, coal, and natural gas is heating the planet and leading to drought, floods, wildfires and more frequent powerful storms. The U.S. officials who joined this year included White House special assistant Brooke Rollins, Interior Department Assistant Secretary Joe Balash, and Jason Funes, an assistant in the office of external affairs at Interior. They praised the administration's moves to clear the way for oil industry activity and steered clear of commenting on climate change. But their presence gave climate change doubters at the conference a boost. 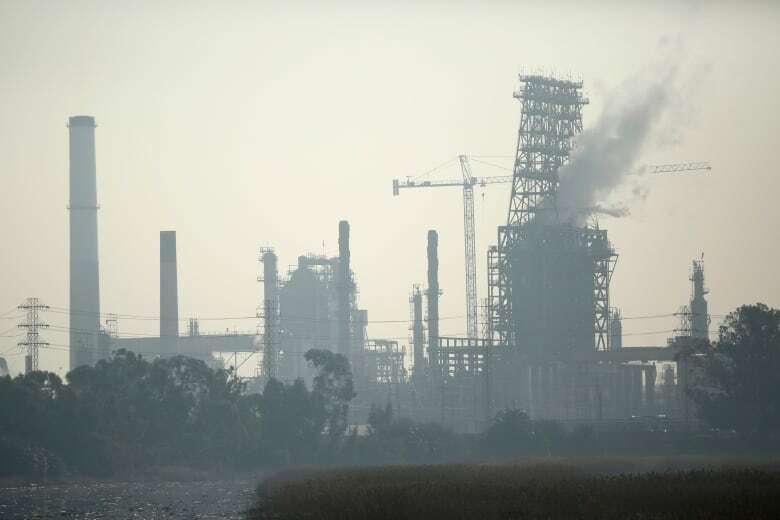 "It's a step in the right direction," said self-described climate change doubter Roy Spencer, a principal research scientist at the University of Alabama, referring to the U.S. officials in attendance. In an email, Interior Department spokeswoman Heather Swift said department officials "speak at thousands of conferences every year and share ideas with a diverse group of individuals." A White House spokesperson did not immediately comment. Tim Huelskamp, president and CEO of the Heartland Institute, said the views presented at the conference "once on the fringes of U.S. politics" would be proven right. Huelskamp dismissed United Nations findings on climate change as "fake science" motivated by a desire for "power and control." Evidence of sea level rise, however, exists across the state that hosted the conference. New Orleans has been ravaged repeatedly by hurricanes that scientists say will become stronger and more frequent because of climate change. And the rest of Louisiana is losing coastline at one of the fastest rates on the planet because of sea level rise and encroaching industry, according to the National Oceanographic and Atmospheric Administration. 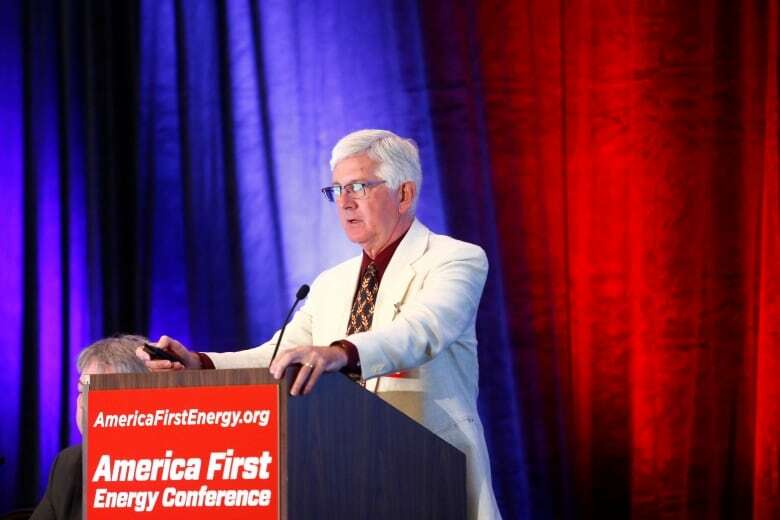 "It's a nice world they live in," said Steve Cochran, campaign director of Restore the Mississippi River Delta, an environmental consortium involved in coastal restoration programs, referring to the attendees of the America First Energy Conference. "It's not the world we live in." The governor's office of Louisiana, a state that has earmarked tens of billions of dollars to fend off coastal erosion and relocate a Native American tribe from a sinking offshore island, did not respond to requests for comment about the conference. In the conference exhibit hall, the words "Coming Soon!" 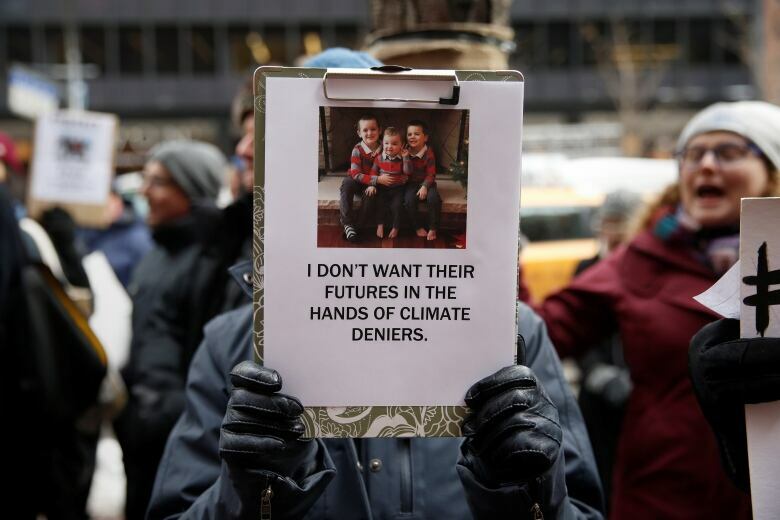 in big orange letters framed a Heartland Institute advertisement for the fifth volume in its "Climate Change Reconsidered" series. Attendees also passed around a book titled Dumb Energy: A Rant Against Wind and Solar Energy. The more than 40 speakers praised Trump for withdrawing from the Paris climate accords, a global agreement to fight climate change mainly by cutting carbon emissions; and for rolling back regulations to allow oil companies to lead the biggest energy surge in the nation's history. "The deep state is real," said Congressman Clay Higgins, a Louisiana Republican, addressing the conference. "They're certainly anti-fossil fuel." Funes of the Interior Department spoke on a panel called The Future of Coal, Oil, and Natural Gas, alongside Joe Leimkuhler, vice president of drilling at LLOG Exploration Co. and Fred Palmer, who joined Heartland in 2016 after retiring from coal company Peabody Energy. "Oil production under President Trump has increased two million barrels per day since the beginning of his administration," Funes said. "The U.S. is exporting four times as much oil as it exported a decade ago." On the sidelines of the conference, Funes said he only attended the conference to speak about the nation's surging oil production, and he refused to comment about the views of other speakers. But on the dinner keynote address, Balash embraced the most obvious mutual terrain between the conference organizers and the Trump administration: the U.S. deregulation push. "Last year, this administration rolled back 22 regulations for every one that it proposed," Balash said. "Unfortunately, I think we need about a decade of that to get back to a reasonable place."